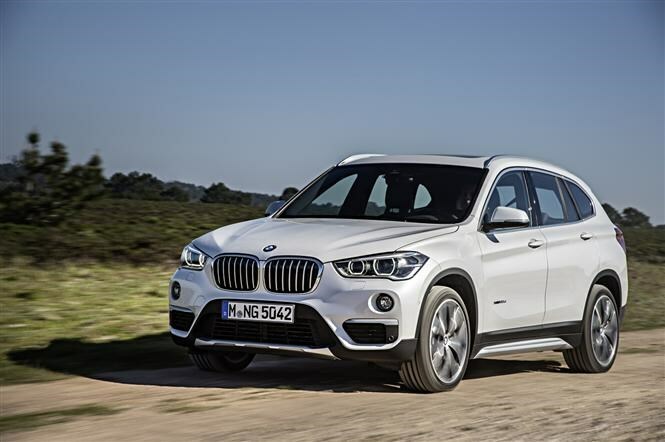 The second-generation 2015 BMW X1 was officially launched to the public today at the Frankfurt Motor Show. A surprisingly successful car for the German brand, it might surprise you to learn that almost 40,000 homes have been found in the UK since it was launched in 2009. Now it’s back for another crack at tempting buyers away from the Mercedes-Benz GLA-Class, Audi Q3 and Nissan’s Qashqai. Crucially, the main difference over the out-going X1 is the car’s height. 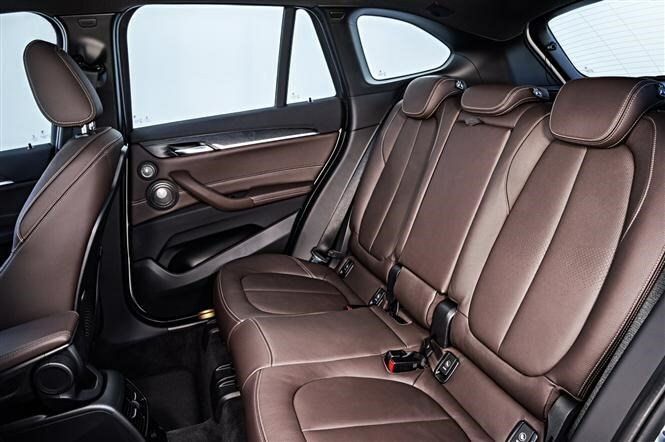 It’s grown by 53mm and the firm claims that unlocks valuable extra space in the cabin. Other design changes include LED daytime driving lights, while xLine and M Sport models also get full LED headlights. Standard UK specification includes cloth seats, sat-nav via a 6.5-inch screen, and sliding and tilting rear seats. There’s also an automatic tailgate, air-con, keyless entry, automatic lights and wipers, and ISOFIX attachments for the outer rear seats. Other standard safety kit includes a low-speed automatic braking system, which will stop the car for you if it detects an impending crash below 30mph. Moving up to xLine trim also nets you leather upholstery and heated front seats. Then Sport Line trim includes sports seats along with a number of interior tweaks. At the top of the range, and the trim we’re expecting to be most popular, you get M Sport with its 18-inch alloys, a body kit, heated front seats in leather and Alcantara, and a special M Sport steering wheel. As with most BMW models, there’s a wide range of optional extras too. Highlights include a glass roof, DAB digital radio and hi-fi upgrades. It’s powered by a choice of four 2-litre engines – a petrol with 190bhp (called xDrive20i) along with diesels with 148bhp (sDrive18d), 188bhp (xDrive20d) and the xDrive25d with 228bhp. All come with eight-speed automatic gearboxes from launch except the sDrive18d, which gets a six-speed manual. 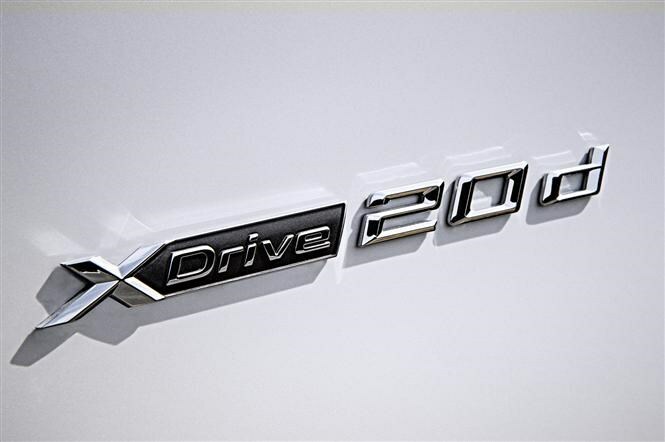 The same will be available for xDrive20d models in November. 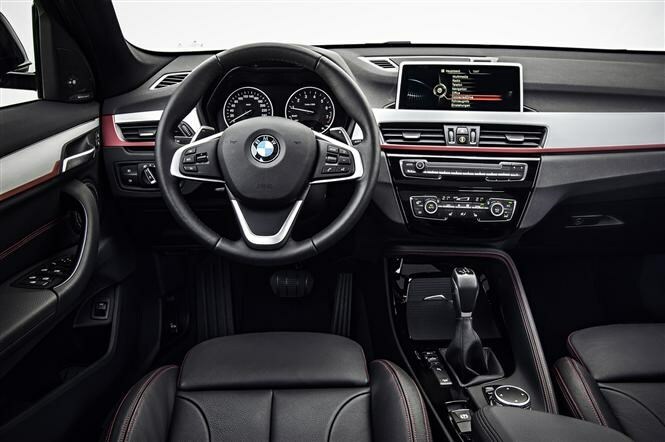 You’ll also get BMW’s Drive Experience Control switch to change between driving modes; Sport, Comfort and ECO PRO settings are available for engine, steering and gearbox configuration. Automatic models also feature a coasting function which disconnects the engine when not required, saving valuable fuel and CO2. Those looking for the lowest running costs will want the sDrive18d, because thanks to the fact it only powers its front wheels, it returns a claimed 65.7mpg average fuel economy and emits 114g/km of CO2, making it cheap to tax for both private and company car drivers. All other models are less efficient partly because they use the firm’s xDrive all-wheel drive system. If you’re looking for a fast X1, you’ll need the xDrive25d. This one can cover 0-62mph in 6.6 seconds. 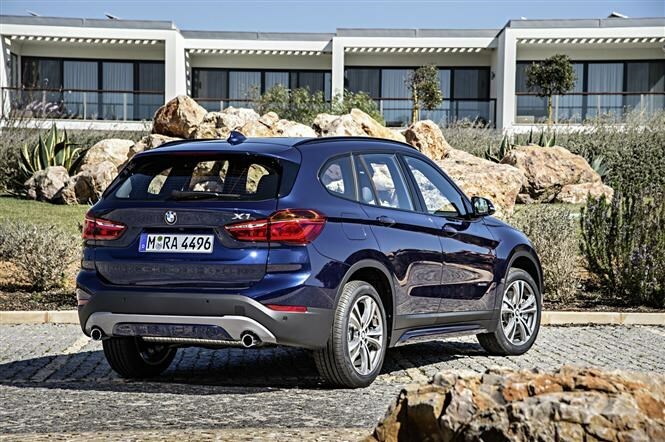 The new BMW X1 will go on sale towards the end of October, and Parkers will be on hand with an expert review soon after we drive the car for the first time.